Spring is here, and what a relief to be able to go outdoors without thermal underwear and a thick coat. In fact, we wore our Chacos to the river this weekend for our first official nature walk of spring 2010. The change of seasons and some comments I’ve gotten on my blog got me thinking about seasons in homeschooling. I don’t mean the seasons that we naturally pass through when our children move from preschool into early elementary or from elementary into more independent learning. I mean those seasons from week to week and month to month when our focus shifts slightly. Take, for example, my rock post where someone asked me, “Do you do science every day?” I can see how reading that long post may lead you to believe that we do a dozen science activities each day. 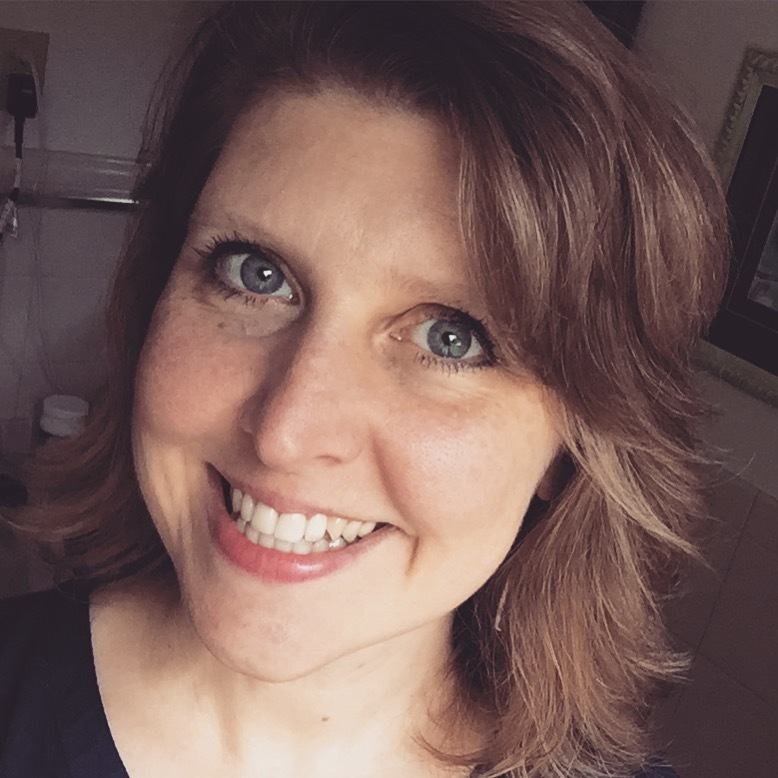 You may think, “How can she do all that science and do math and language arts and art and so on…. ?” The answer is that we don’t, at least not daily. Instead, we tend to study in seasons — a season of intensive math history, a few weeks of in-depth science study, a time of extended poetry reading. If you look at one day in our homeschool, you may get worried because of all the things we’ve left out. Even looking at one week may not give a balanced picture. Instead, you would have to look at a few months, or even an entire year, before you would see a balanced picture emerging from our homeschool. **Actually, when your children are very small, and you do very short lessons, then you can do a smidgen of everything everyday. At that age, doing long lessons will be counter-productive. I remember clearly when Sprite “told” me she was ready for longer lessons. She was getting very frustrated by my constantly closing books and moving on when she had just started to become engrossed. I was trying to obey the Charlotte Mason recommendation for short lessons. But her maturing attention span was ready for longer lessons. Take nature study as another example. I know you can do nature study in the city and also in the miserable days of winter. But I admit that we just aren’t as motivated unless we have a truly wild place to go and the weather is bearable. So instead of feeling guilt about it, I’ve come to accept that we probably will not have consistent nature walks every week. But we are good at having a nature weekend every few months. And so it all balances out in the long run. So if you’re feeling like you “can’t fit it all in each day,” stop trying. 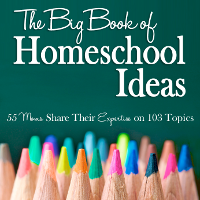 Look at your homeschool planning from a broader perspective and consider the seasons concept. It works really well for children (and moms!) who have robust attention spans and like to dig deeply before moving to another topic. Thank you for this insightful and encouraging post. I’ve been feeling a bit of the “can’t fit it in every day” lately, and this post helps me put things in perspective a bit more. 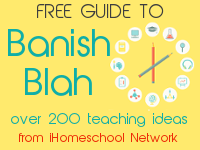 .-= susana´s last blog ..Calendar/Circle Time Board and Giveaway Preview =-. I agree with you. We can’t do everything every day. I have seen very enthusiastic and well-meaning mothers burn themselves and their children out by trying to cram in too much. Sometimes they are driven by fear of not doing enough, sometimes it is because they have been comparing themselves with parents of other home learners or even those who go to school. I have told people that we are human ‘beings’ not human ‘doings’. There is a reason God says to be still and know that He is God. Learning is an ongoing, living and breathing journey. It is great to take time and absorb it – that picture of Sprite captures it incredibly well! .-= Darya´s last blog ..what a pity we don’t go to school =-. I agree! One of the benefits of homeschooling for a long time is realizing that we will ‘get things’ done …even when there are unplanned trips/ visitors/ sickness etc. We have finished a project or theme in just a few days when the term drags on. We just put aside the other basics and have fun completing a lapbook or topic. I love the maturity and wisdom you share. Thank you. .-= Nadene´s last blog ..Fine Handwriting needs Fine Muscles =-. The rhythm of seasons is something we can work on in the whole of our lives. May I just say how jealous I am that you are in Spring. Even though the days are longer and the temperatures above 0, we are still deep in winter. We had a major snowstorm yesterday! I agree with you on the Nature Study front. We haven’t done any nature study this winter, just to cold, wet and snowy. We plan on starting with Nature Study in the next couple of weeks and doing it intensely during the summer months. .-= Diane´s last blog ..Husband’s Art =-. .-= Makita´s last blog ..Random ?s :: Homeschool Hop #6 =-. I just looked back over my yearly lesson plan book and we definitely move in “seasons”, at least for those subjects that are not main ones. Even us, 5yrs, 3 yrs and me, don’t do ‘everything’ everyday. We plant tomatoes with dad one day, do a meaningful math couple of things a week, read on diverse topics, focus more on reading lately (interest is apparent now in my oldest)…but like you, we follow ‘seasons’ and move along with their learning phases as you’ve done and keep doing with Sprite. .-= silvia´s last blog ..Marshmallows Math =-. What a lovely picture of homeschooling. Your words communicate some ideas that have been rattling around in my brain for a while. Thank you for sharing this image! Although my children are still small, I can already see how true this is. Thanks for a great post! .-= Amy @ Hope Is the Word´s last blog ..In the Spotlight =-. .-= Cori´s last blog ..Bumblebees and Spring =-. Jimmie – Would you day it is the same for high school? There are days we don’t get everything planned finished and I worry about it. My ds has an Asperger’s diagnosis and will hyperfocus on one thing to an extreme. Recently it has been herpetology, specifically snakes. For about a month it was leopard geckos. He will engage anyone who will give him their “ear” in endless conversation about what he is learning and also has a baby ball python. I don’t know what will be next for him; but right now he “eats, sleeps, and breathes” snakes. I like the others on here, enjoy your insight. I love your perspective, Jimmie. We need to give ourselves and our kids the grace to RELAX and look at the bigger picture rather than stressing about following an exact schedule or worrying if we don’t get everything in every day. Drop by drop the bucket gets full! Thanks for your post! I think my boys are ready to dig deeper too. You really are an inspiration– whether I think you do it all in a day or in a month. I like that fact that you enjoy learning just as much as Sprite does. .-= Marsha´s last blog ..Sweet Shot Day: numero uno! =-. But, this week has been kind of crazy. On Monday, we started a new writing program (as in paragraphs). My daughter wanted to just write all day! We ended up ‘writing’ (and watching the video lessons) for about 3.5 hours. So, we didn’t get much else done. Then, yesterday, we really just did math (2 days worth) and a lapbook on the census (which I’ll post soon). And, my daughter got sick yesterday evening. So, she’s not up to much today. So far, we’ve read our history book aloud for about an hour. We have online projects to do for history, which I think we’ll do after some rest time. If she’s better, we’ll hit math hard again tomorrow – she needs to take a test on Thursday or Friday. @ Dana– What you’ve described is exactly what I’m talking about! 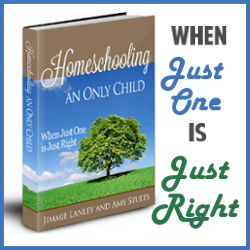 Going with the flow of interest and circumstances to adjust your homeschool schedule. Thanks so much for sharing this very concrete example. Jimmie thanks for this post! I have been struggling with this and it really helps to see anothers perspective on it. I really need to rethink things and work more on one subject at a time instead of trying to fit it all in every day. Thanks! .-= Bonnie´s last blog ..Homeschool Blog Hop =-. Great advice, Jimmie!! So many parents I know get so worried that they are not covering EVERY subject EVERY day! I always suggest that they cover a lot more things than they even realize. Just because it isn’t sit down/written “official” school work, doesn’t mean they haven’t learned and haven’t usually covered several subjects in one activity. As unschoolers, we have a completely different approach than most people. We don’t use strict plans of any kind but instead use every opportunity to learn, so I say that we school 24/7, 365 days a year! Obviously, not literally 24/7, but definitely 365 days a year, even on a day like Christmas day, We may do something “educational” like play a new game, watch a new movie, or play with a new toy. There are still some things I don’t “count as school”–stuff that is purely “fun” stuff. Typically, I buy mostly educational games, “toys”, etc., so there is almost always some element of learning happening! It all works so much better to just relax and let the learning come naturally. I don’t believe anyone can go through a day without learning something if the opportunity and incentive are there! For us, I’ve always found that trying to punch a time-clock or stick to a detailed agenda only leaves us with lost opportunities and diminished incentive for curiosity (learning). 🙁 Never a good thing! .-= Melissa´s last blog ..a note about our hs journey =-. As the kids are growing we are schooling more and more the way you describe. It was the same way with my graduate. If you looked at one day of my homeschool you would see lots left out. In fact, I just recorded one on my blog and left out lots of stuff on that particular day. It all gets covered in the end. Learning as we go is so much more natural. Oh yes! I would pull my hair out if I had to do all subjects with five kids every day. Seasons are good for us too. I don’t think it’s a coincidence that this post has the largest number of comments that I have witnessed, yet. You really hit a nerve with us. We want so much to give every opportunity, give every chance and advantage to our kids that we always see more that can be sandwiched in. Listening to the needs and desires of my kids and even myself, though, is something I often forget about and I sorely needed reminding. Thank you for the reflections and inspiration. Thank you for the comforting post. .-= Mama Bear´s last blog ..Preschool Corner =-.